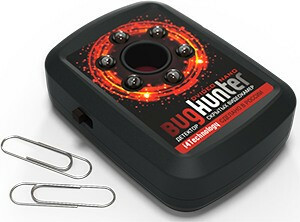 World's smallest spy camera detector: tiny, handy, trusty! 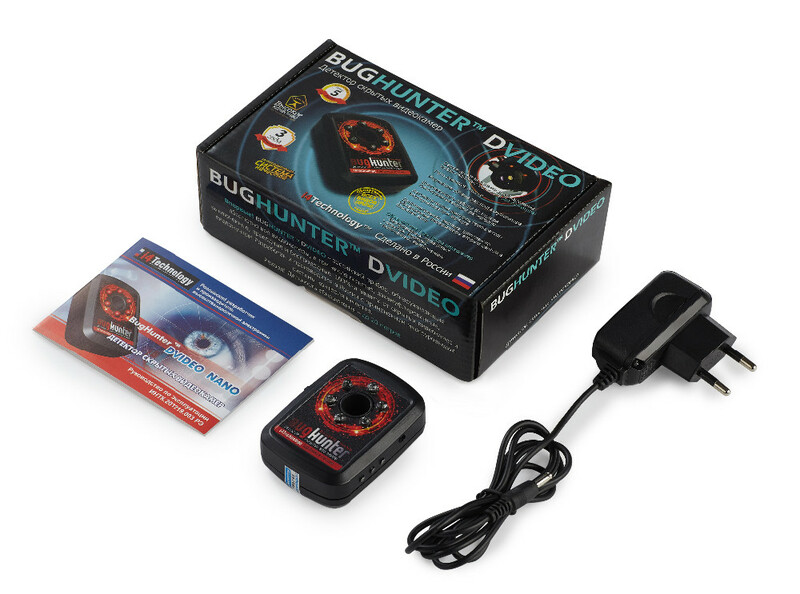 Dvideo Nano is a portable device designed to detect spy cameras (disguised as different interior items) regardless of whether they are ON or OFF. 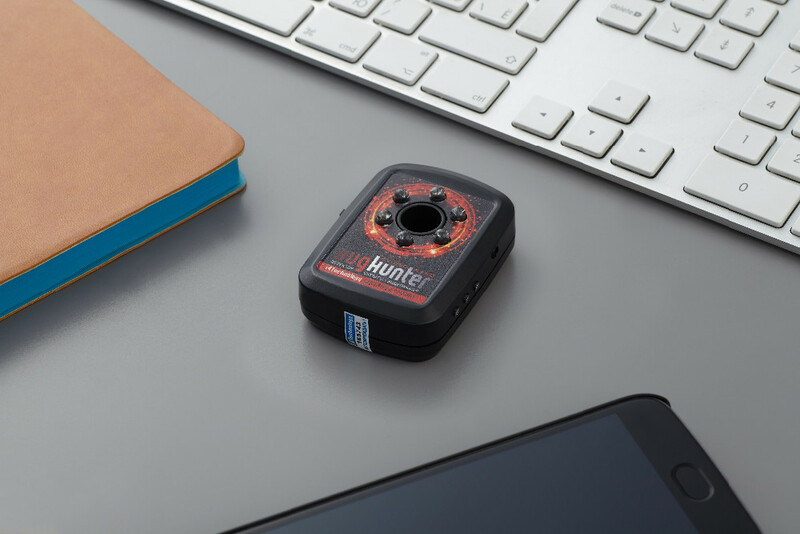 The device can detect not just wired cameras, but also wireless ones that use transmitters capable of sending information to a distance from 10 to 100 meters (33 to 330 feet). Operating principle is based on the effect of the reverse flare. 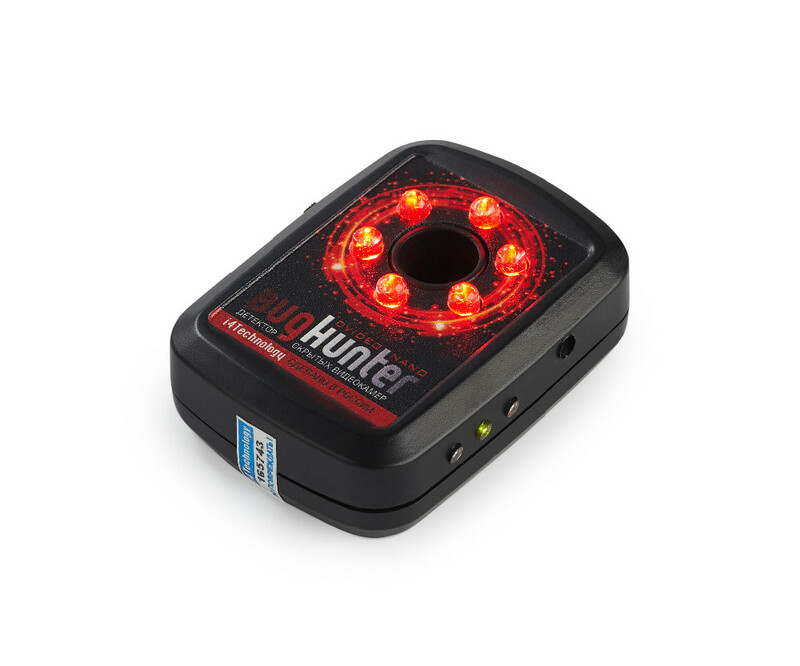 Device emits light and receives the reflected emission (including the reflected flares from spy cameras). Since the brightness of the reflected beam from the camera lens is several times higher than the reflections from other objects, thus determining the location of a camera is quite simple. The basic rule to detect spy cameras is that the search should be performed in a place where people could probably install a spy camera. The most likely places for camera installation are spot that allow easy observation of working spaces, resting places (chairs, sofas, etc.) and doorways. The camera can be installed in a hollow space of a suspended ceiling, in premise’s corners, ventilation shaft, furniture elements (wardrobe, mezzanine, etc. ), comfort items or audio-video equipment, etc. You must consider that there may be several cameras. Detection of one or two video cameras should not be a reason to consider the room completely cleared. It is necessary to check all the places from where a latent recording can be performed to be 100% sure. 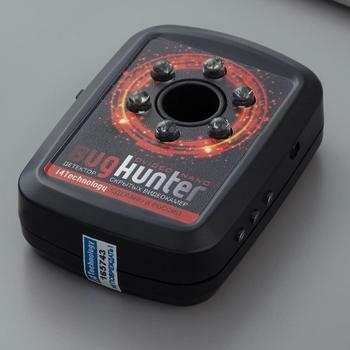 You also need to keep in mind that the optimal working distance which is not more than 18 meters (59 feet) and that the camera can be detected only within its coverage range. Consequently, for more certainty it is recommended to observe the most suspicious places from different angles.